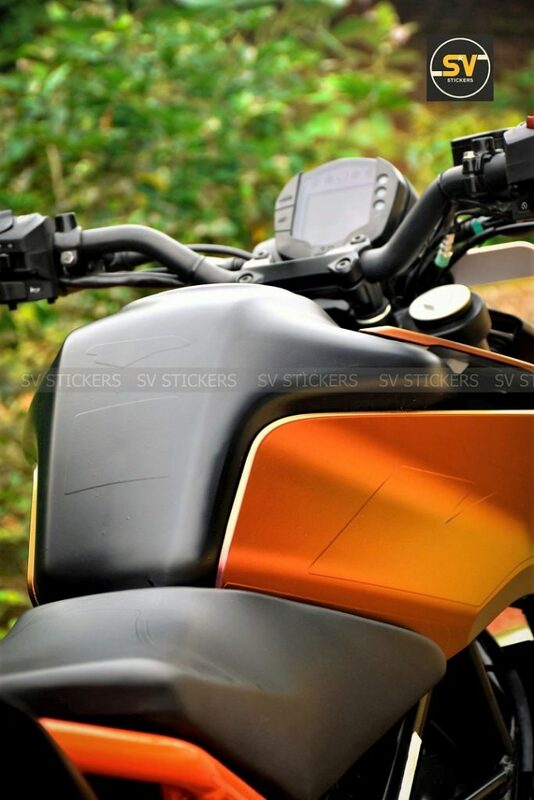 Not everyone gets a chance to get their loved motorcycle wrapped in an exclusive livery. 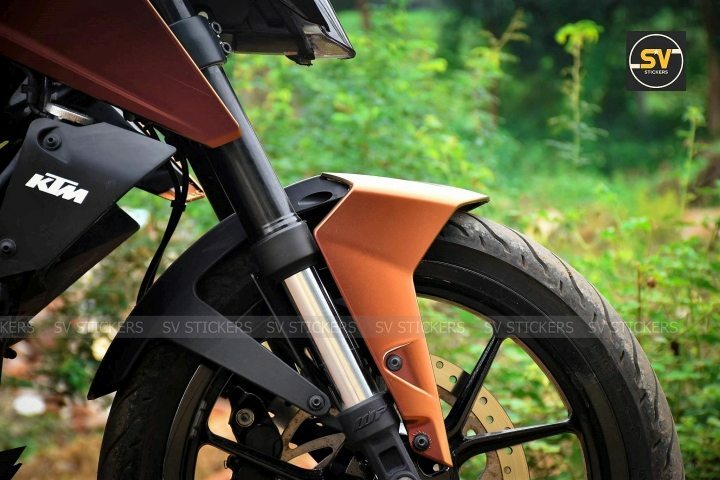 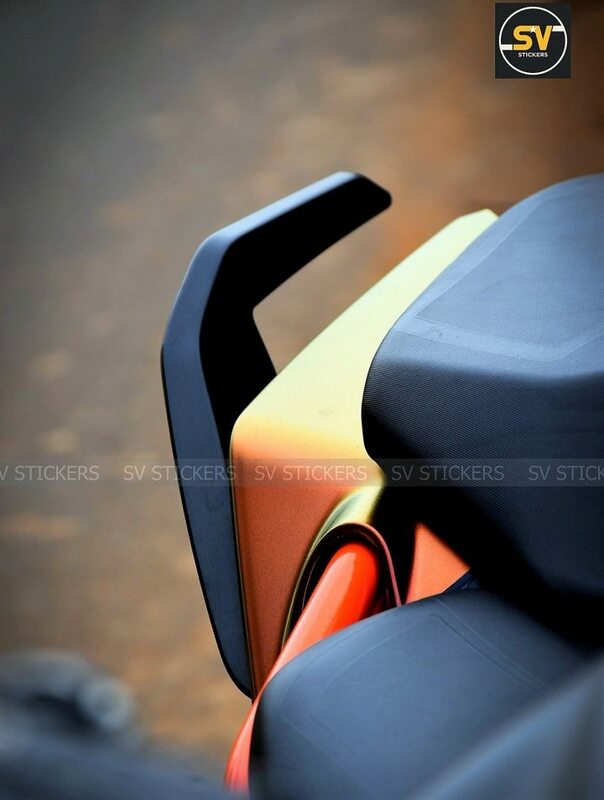 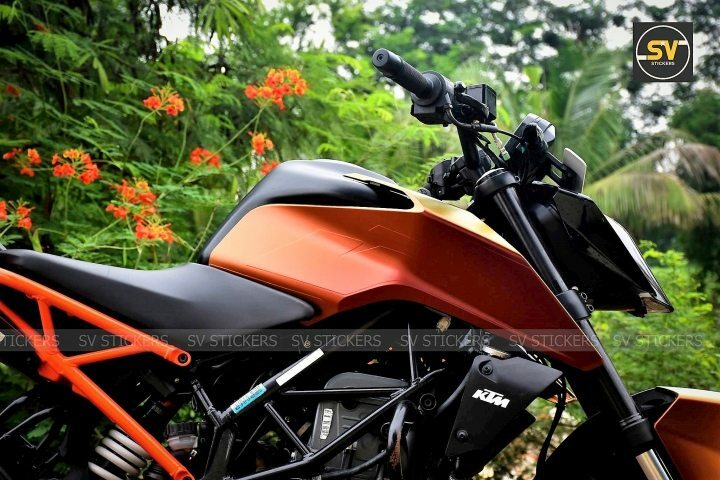 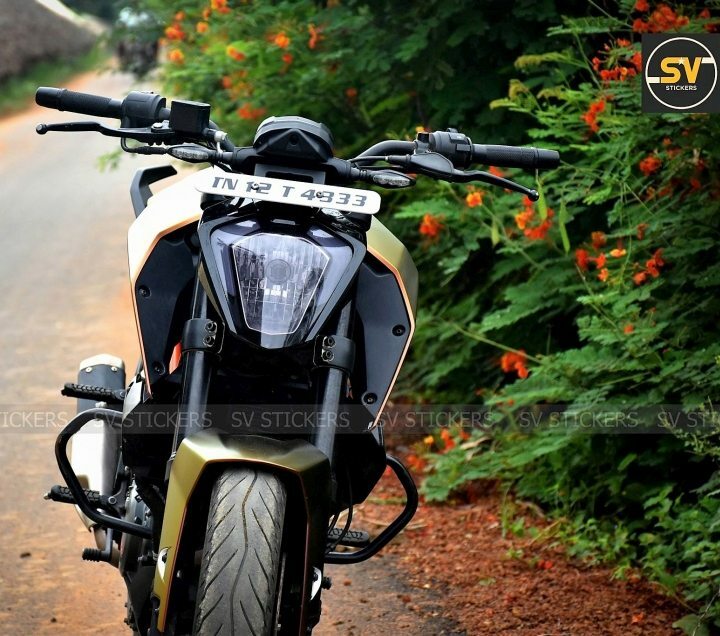 This typical KTM Duke 250 Color Shift Wrap by SV Stickers is quite unique in it own sense as it bares everything but keeps away from the flashy sticker job on its body panels. 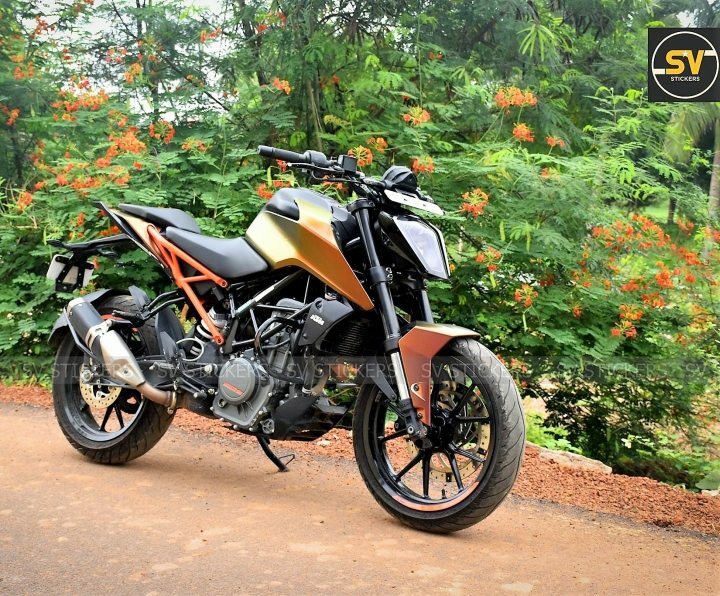 Sometimes Orange and sometimes Gold, the color changing wrap is seen only on extended tank shrouds and half of Duke 250’s front fender. 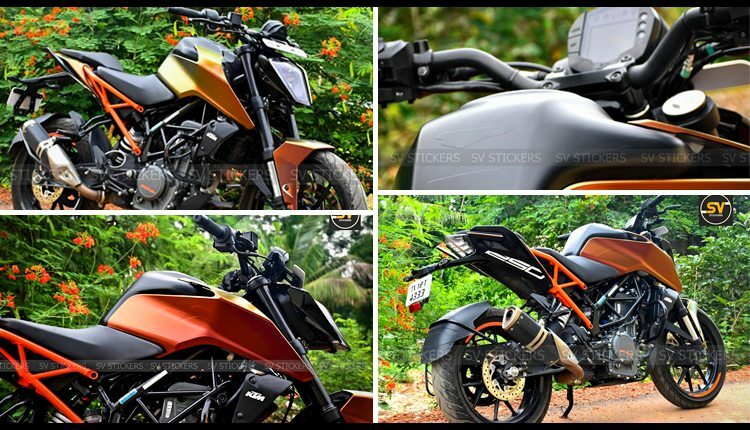 Use of Gloss Black on headlight fairing further highlights the combination in an even smart manner. 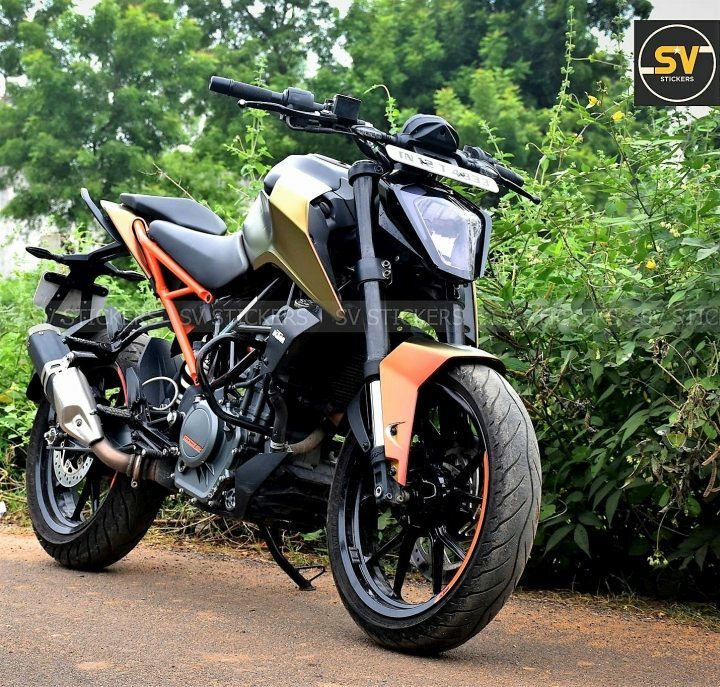 The changes are limited to certain parts only and no difference comes up in its performance with few added grams of wrap weight. 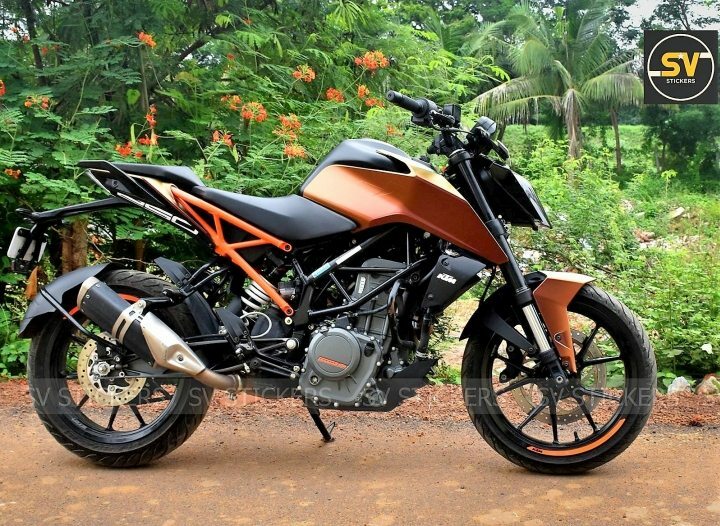 KTM 250 Duke is powered by a 248.8cc, single cylinder engine producing 30 HP @ 9000 rpm and 24 Nm @ 7500 rpm. 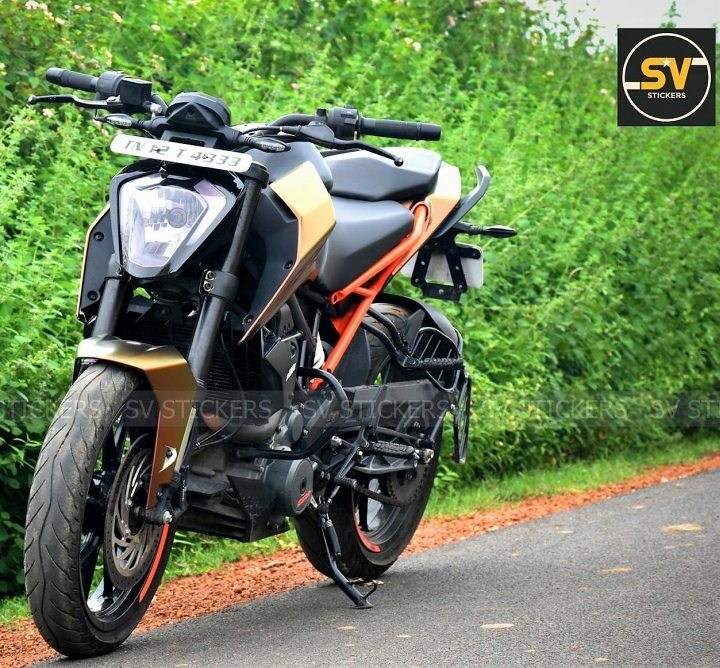 The engine comes mated to a 6-speed gearbox with slipper clutch. 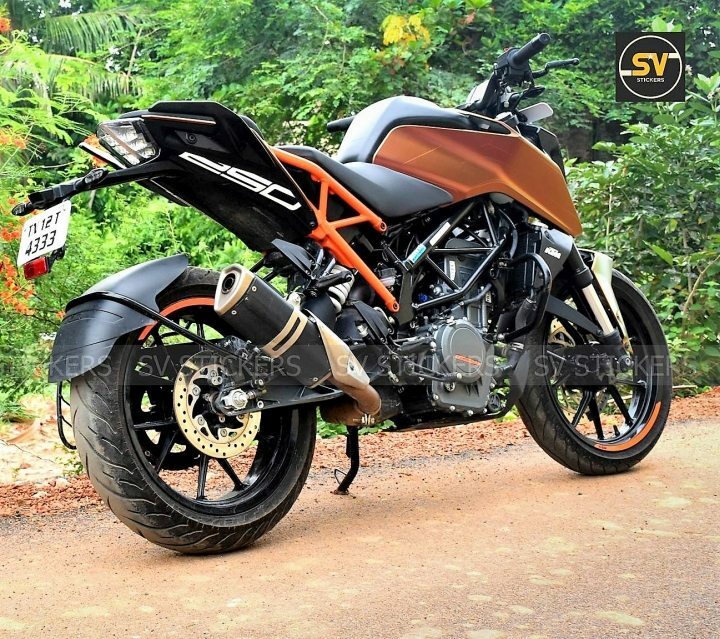 It weighs just 161 kg and claims 138 kmph of top speed in normal driving conditions.